Make 100 easy booklet style gift tags or hang tags in less than an hour. This post has nothing to do with France unless of course you are selling handmade goods to earn some extra money on the side for your future move which is exactly what I did. So you have a handmade product but no product tag for them? You know, those little tags that tell you about the product you are about to buy? You could buy them but what if you’re not not ready to commit to buying a large quantity of professionally printed hang tags? What if you just need a few hang tags that you can adjust and tweak until you’re ready to outsource the production of your product hang tags? Buyers of handmade products love to know more about the maker. We feel more connected with the maker and object when we we meet them or know more about them. 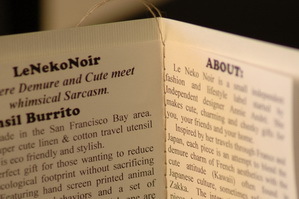 Adding a hang tag with a little bio about you, the designer and the product is the next best thing you can do to meeting the potential buyer. It gives the buyer or browser a sense of whom and what went into the design and work for each product. It’s where you can make you and your work shine. 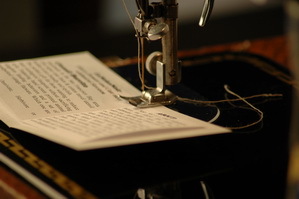 Call out all the best features like “hand stitched”, “organic”, “made with love” etc. Best of all, it increases the perceived value of the product which possibly translates into more sales. Need a craft fair checklist? Here you go! Here is a really cute, elegant, affordable and simple solution. It adds a nice final touch to your work. It’s scale-able too, so if you wanted to add more info about your product or business, you could just add a few more pages to the booklet. Below are the instructions. Please forward any photos of your work if you use this tutorial. I would love to link to them and see them in action. Time: Make a hundred of these in less than an hour. 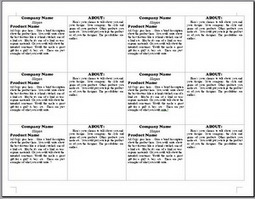 Print out the template after you have finished writing your bio and product info. 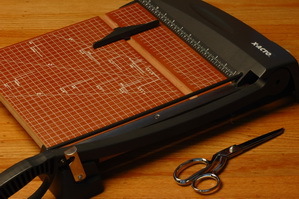 Get your sissors or Xacto paper ready. 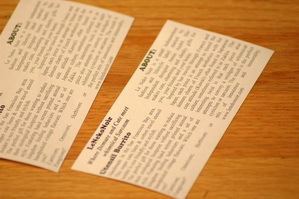 Cut out each mini booklet. These will become the pages inside of the booklet. 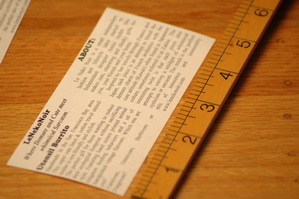 Measure each mini booklet. 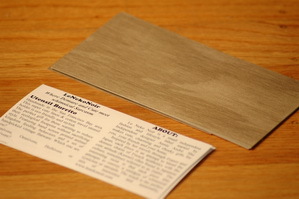 If you used my template and didnÂt adjust it, Each one should measure about 2.5 x 5 inches. 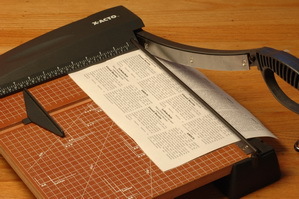 This is Important, because this will determine the size of the cover or outer booklet page that you will be cutting from the heavy card stock. 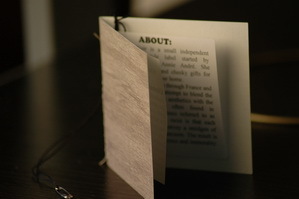 I made it so the outer booklet is slightly bigger than the inner pages. See next step for size. 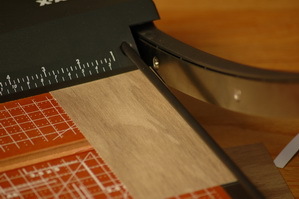 Get your heavy card stock, measure 3 x 6 inches and cut out. This is slightly larger than the 2.5 x 6 inches that we just cut for in the step above. 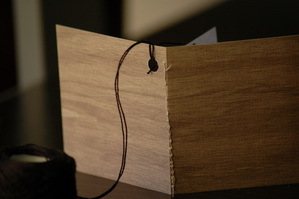 This is because we want the outer cover to completely cover the inner pages like a book would. Now you are almost ready to start assembling the pieces. 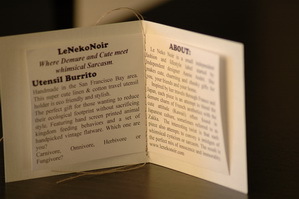 Fold each of the inner and outer booklets in half. Make sure to make the creases strong. 10. 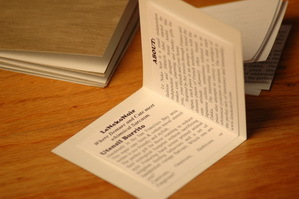 Assemble: Place the inner pages ( the template that you wrote your bio and product info on) inside the folded heavy card stock. 11. 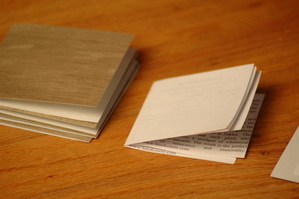 Attach: You can glue the pages to the cardstock or you can use a sewing machine. 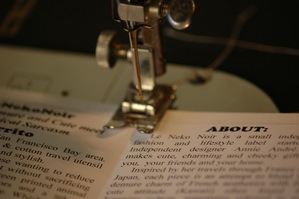 I chose a sewing machine because I wanted my hang tag to have that stitched appearance. 12. 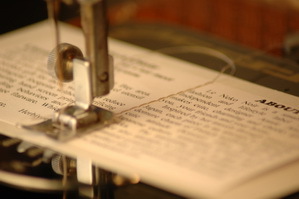 If you are sewing, just stitch from end to the other. 13. Your handmade hang tag is almost done. 14. 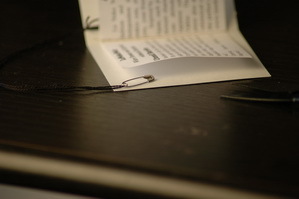 Now you have to snip off the little threads at each end. 15. 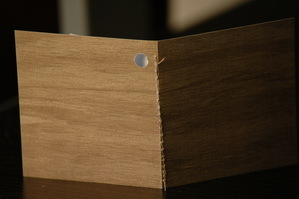 Punch a hole in the back of the hang tag with a paper hole punch. This is where you will thread some thread through. 16. Get some string, I used embroidery thread, and tie it through the hold you just made. 17. The next steps are optional. 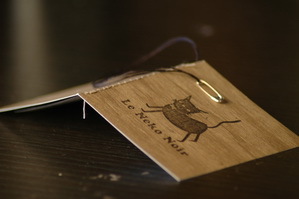 Depending on what your product is, you could just loop your new handmade hang tag to your product of gift. I canÂt always do that, so I bought some mini safety pins and attached one to each hang tag. 18. Admire your work. 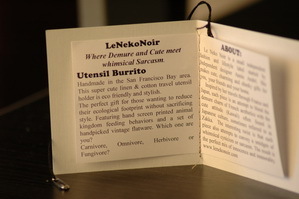 HereÂs what your hang tag booklet should look like. 19. Lastly, you could add a little extra touch. 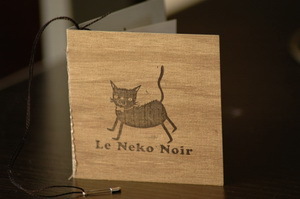 I stamped my logo on the outside of the hang tag booklet. 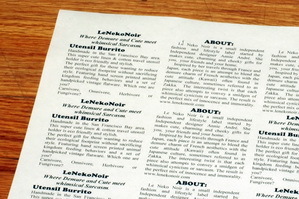 I had some custom rubber stamps made up for my business. I use them to stamp stationary, customer bags which I use to put customer purchases in at craft fairs, thank you notes with shipped items. It really comes in handy. 20. One last thing, I hand wrote thank you and sign each one. That concludes my tutorial on how to make your own product hang tag for your handmade products and gifts. You are free to link to this article or re post this article. Please give credit and a link back.